Maybe it’s just me but I believe there’s serious overreaction about our o-line! I firmly believe that the super bowl predictions we received from any outsiders was purely based on what looks like on paper a offense full of elite names at multiple positions. so though Neal and Jones are out and it is a big blow this team to me will always go as far as the offense takes them and I’m not discrediting our defense, they were superb last season and in week 1 but it’s all about this offense living up to the potential of what’s on the paper. By the looks of names we should be dropping points fairly easy especially with a mostly healthy offensive unit. Bashing Matt, Sark, or anyone else isn’t what I’m interested in doing but dammit I hope these red zone issues get fixed ASAP! I will be at the stadium this Sunday and I expect the falcons to drop points. I don’t care who the defense is, we have way too much talent not to make defenses afraid of us! Way too much talent! Would you like a Bell for Freeman trade? This is just a thought so don’t everyone lose it. i was just thinking , a bell for Freeman trade may be a trade that works on both sides. Steelers- Get rid of Bell for Freeman straight up and can keep a top 10 RB on their roster. Falcons - Get Bell who in my opinion is stronger than Freeman and can help with the red zone woes this offense seem to have a better than Freeman can. as far as contracts go Steelers should have no problem retaining Freeman’s salary since it’s a straight up trade. For the Falcons since it’s nearly a even trade on salaries (I believe anyways ! Freeman 12 mil per, Bell 14 mil per)...we just need to extend bell and give him the money he’s asking for. 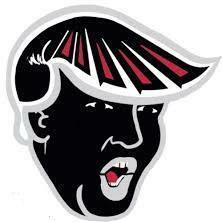 For our Falcons sake I think it’s worth it! Many already believe Freeman isn’t a every down back which we don’t know cause from the time he had a break out year Teco has always been here to share the load and help keep him fresh and since there’s a chance to lose Teco next off season why not make the trade for a player who’s considered the best RB in the league and we know can carry 25-30 times a game no problem? its just a thought. How bad are the high seats at the Benz stadium? Thanks everyone! I’m going try it out this Friday and hope it’s as good as some of the comments are here. Just wondering what the view is like way up top? Tickets are more affordable Up top of course but is the view bad?